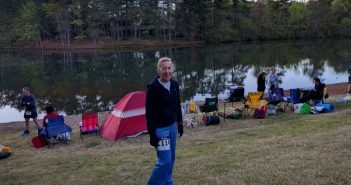 You are at:Home»Features»Category: "First Time Ultra Runners"
Compared to shorter ultras you may have completed, the 100-mile race is a strange and formidable beast and nothing like bowling. It’ll be harder than anything you’ve done before, so here are some ways to prepare and ensure your first hundo is a success. 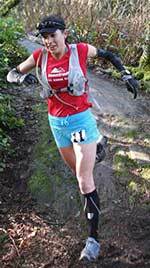 Each mistake I make in an ultra teaches me something new and brings me a little farther than the last race. Let me list my mistakes and what they taught me, in the hopes that you can avoid making the same ones. 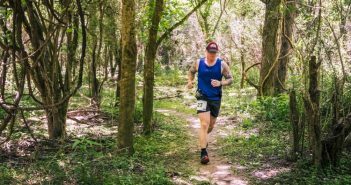 The 2017 CamelBak Pursuit Series wrapped up its two-event debut in September at Sanborn County Park, nestled in the redwood trees approximately 50 miles south of San Francisco. 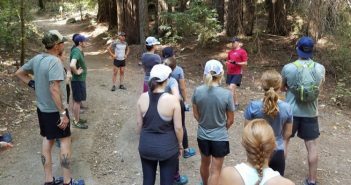 We enjoyed an inside look at the event and spent time with Golden Harper, founder of Altra Running, a company that was a major event sponsor and conducted a series of trail running clinics throughout the weekend. 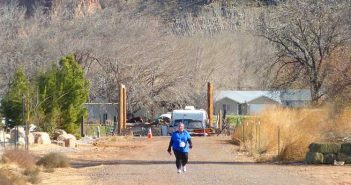 Running your first ultramarathon is a great commitment to make to yourself. It’ll hurt you in ways that you didn’t know running could hurt you and it will force mental fortitude that you didn’t know you possessed. 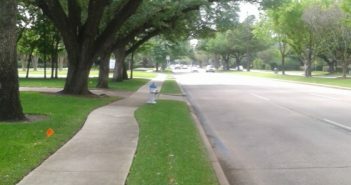 Urban running on asphalt and concrete can be a beautiful and joyous experience. You just have to be a little careful out there. 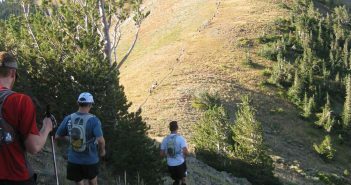 A regular program of LSD will certainly make you into an ultrarunner and get you ready to run the 50k, 50-mile or 100k distance, but the problem is that for many ultra courses, it will not be enough. It was fitting to run my first ultramarathon in my college hometown of Athens, Ohio. 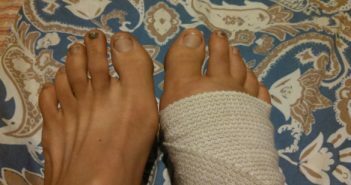 After rain every day the week before the race, I knew this would be a challenging way to gain entrance into the ultramarathoner club. 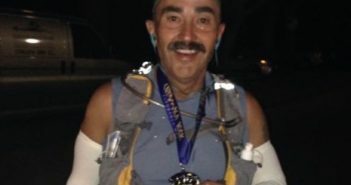 At 1:14 a.m. in the Cuyamaca Mountains just outside of San Diego, California, a small lone headlamp headed toward the finish line of the Cuyamaca 100K Endurance Run. I am a member of a special club. You pay the membership dues with grit, tenacity, stubbornness and courage. The members of my club understand each other on an unspoken level. We feel each other’s pain. We relish each other’s accomplishments. We know each other’s struggles. This club is called the Back-of-the-Packers. Timed runs are kind of awesome. If you have not tried it, I would suggest doing so. Maybe they aren’t for everyone, but you might just be surprised. My first experience at a timed event I was totally sure I would hate it, and ended up very surprised. Fail or succeed. But for the love of all things ultra – STOP making excuses! Back in my day, I had to thumb through printed magazines to locate obscure little ultras and go to register with pen and paper and pay by check that I mailed FROM A POST OFFICE! I didn’t get no fancy tri-blend shirt, elevation tattoo, battery powered finisher buckle, or handcrafted microbrew! Just because I don’t have a snowball’s chance of hell of ever winning an ultramarathon doesn’t mean that I don’t set goals for myself. In fact, I might set multiple goals for a single race. Or I may a single goal for an entire year’s time period. The point is, goals help you keep motivated to improve and give you a benchmark to evaluate your progress. I have always loved being a student of the sport—reading, asking questions, trying new things and learning what worked for me. 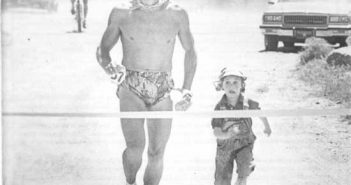 I have been fortunate to have had several coaches who helped fill in gaps in the complex puzzle we call ultrarunning. Your question gets me thinking about the one who did the most to make me the runner and coach I am. Here are 17 lessons I learned from my favorite coach. As youths we have visions of grandeur. 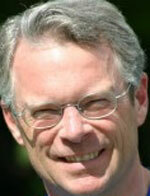 We see ourselves accomplishing great goals and becoming outstanding athletes. We watch the Olympics and other sporting events and visualize ourselves standing on the podium receiving the accolades of our peers and the public. Somehow, time slips away, and before you know it you’re married, have kids, a job, a house payment, and those childhood dreams are just that… dreams. I recently signed up for a local 10k race. It will be my first ever. 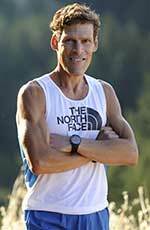 Now I’m thinking about doing either a 50-mile, 100k or a 100-mile ultra. Most folks would probably do a half marathon first, then a full marathon and so on until they finally hit their first ultra. But with money being tight, I can only afford one or two races per year. 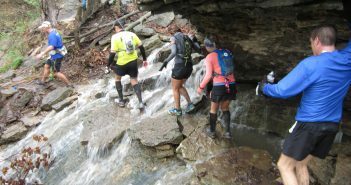 How you handle aid stations can have a significant impact on how well your race goes. 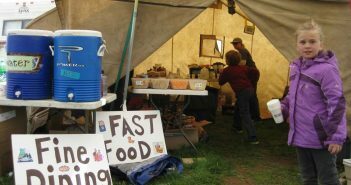 If you are speeding through a 50k looking for a PR, the emphasis at the aid station should be on how quickly and efficiently you can load up on food and water and get back out on the course. Taking the food with you, for instance, can save a lot of time. 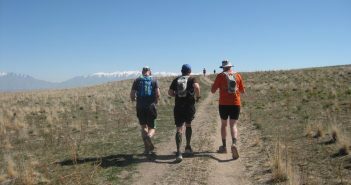 If any of you are relatively new to running ultras, here are my top tips to ensure that you have fun and success at your ultras and come back wanting more! Mother nature beat my swollen ego back into place and taught me that I am NOT, in fact, a superhuman. My body is breakable, although my spirit sure as hell ain’t. 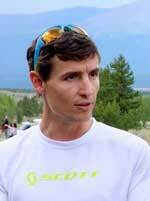 Ultrarunning is an endurance sport and as such it requires you to push yourself up to your limits. As you approach these limits and work to overcome them, you will find yourself facing similar physical and mental challenges over and over. 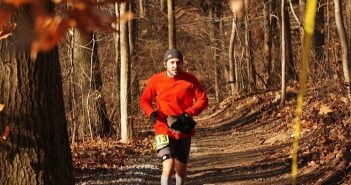 Ultrarunning is testing you to see if you are learning from your mistakes, if you are equipping yourself to better deal with these challenges. 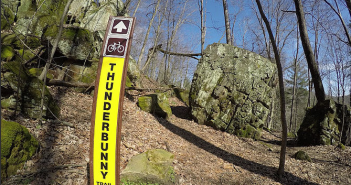 Like anything, practice makes perfect, and perfecting your rough trail running skills will lead to better racing and might just save you an unpleasant trip to the hospital. 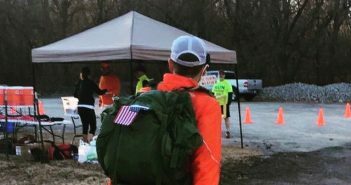 The request of a new ultrarunner for a crew often falls on the innocently willing shoulders of friends or family who may have little experience in ultras. 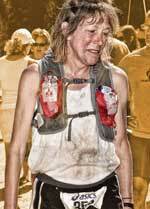 Sheryl offers some advice for new pacers. 2014 is almost here. It’s the time of year to reflect back on the past one and look forward to next. And it’s time to do it quickly.